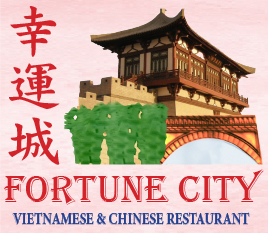 Online ordering menu for Fortune City. Want some authentic Asian food? Come check out Fortune City! We offer a variety of noodles, appetizers, soups, and meat options! Also check out our Chef Specials and our Vietnamese Dishes! We are located off of S Wadsworth Blvd and W Jewell Ave, between Dollar Tree and Emich Chevrolet. Currently offering carryout via online ordering.